Critical concepts of the ‘Atlantic archipelago’ are often sourced to J. G. A. Pocock’s 1975 Lecture in which he calls for a re-examination of historical constructions of Britain in the light of the so-called ‘British Problem’. Pocock’s plea impels us to reassess our understanding of what an island space constitutes both politically and poetically. 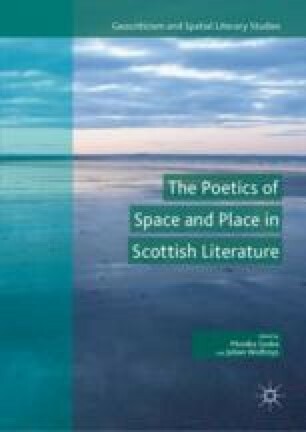 This chapter traces the emergence of an identifiable archipelagic impulse in modern Scottish literature and considers how the dynamic topographies of the Atlantic archipelago filter into new pluralised, devolved, and ‘entangled’ poetic representations of place in Scottish poetry. The chapter begins with an overview of the current field of archipelagic criticism before examining the archipelagic dimensions of the modernist works of Hugh MacDiarmid, suggesting that MacDiarmid’s works can be understood as an originary node in the formation of contemporary archipelagic perspectives in Scotland. The chapter moves from MacDiarmid’s early island imaginings to examine contemporary works by Angus Peter Campbell and Jen Hadfield whose works reckon with the politics of place through intimate engagements with their respective island environments. The chapter considers the ways in which Campbell and Hadfield turn to the island in order to navigate complex questions of community, region, and ecology in an age of globalisation. ———. ‘Inheriting Islands—An interview with Angus Peter Campbell’. Island Review, 2015. June 1. http://www.theislandreview.com/island-books-angus-peter-campbell. Accessed 19 July 2017. ———. ‘Interview with the Poet Jen Hadfield: Humble, Sincere, Honest’. The Midnight Heart, 2010. September 6. http://blogs.warwick.ac.uk/zoebrigley/entry/interview_with_the. Accessed 19 July 2017. Mackay, P. ‘Introduction to a Reading by Angus Peter Campbell at the Pleasance, Edinburgh, on National Poetry Day’, 2012. October 4. http://www.anguspetercampbell.co.uk/angus-peter-campbell. Accessed 19 July 2017.